So even though I like to cut tech out, I still rely on my phone and need it to be ready to go when I am. I always carry a power bank with me so I don't have to worry my phone dying. But when I was shopping for a power bank I was really overwhelmed. There are so many options on the market and so many of them look identical. How can you tell the difference between the different brands? In this article we'll take a deep dive into how to select a quality power bank and go over some of the top brands and products that you should consider. Lithium-polymer batteries are similar to the more well known lithium ion batteries. But lithium-polymer batteries are more efficient and they can hold more power in less space than lithium ion batteries. The downside is that they cost more to manufacture. 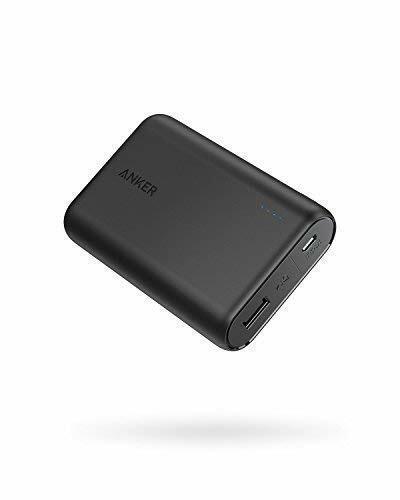 My top choice for best power bank and the one I take backpacking is the Anker PowerCore 10000. This power bank weighs 6.4 ounces and has enough juice to charge my phone 2-3x. While Lithium-ion batteries might be seem inferior to the lithium-polymer batteries, there are a few examples of high quality devices that use this technology very well. Leading the charge is Poweradd2nd Gen Pilot 2GS. The pristine aluminum design makes it stand out again the competition, and it's sturdy design makes it a good choice for backpacking. The downside here is that the Poweradd power bank weighs 2.2 ounces more than the Anker 10000. Harness the energy of the sun right into your device! Sounds too good to be true? Well that's because it basically is. Can you charge your phone with a solar panel? Sure. Should you? Probably not. To charge your phone with a portable solar panel you'll need about 4 hours of direct sunlight for 1 charge cycle. Even if it was sunny while you were hiking, you'd need the solar panel to always be facing the sun which is almost impossible when you have a backpack strapped to your back and you're zig zagging through the wilderness. There are some power banks that have the solar panels built directly into the power bank. This is nice because you can collect sunlight while you hike then charge your phone later when you set up camp. The downside to these devices is that they're larger and weigh about 50% more to get the same capacity. A good example of the solar power bank is the RAVPower solar charger. File this one under cool but impractical. You'd have to burn a fire for a loooong time to charge your phone. On top of that, these "chargers" are bulky and heavy. 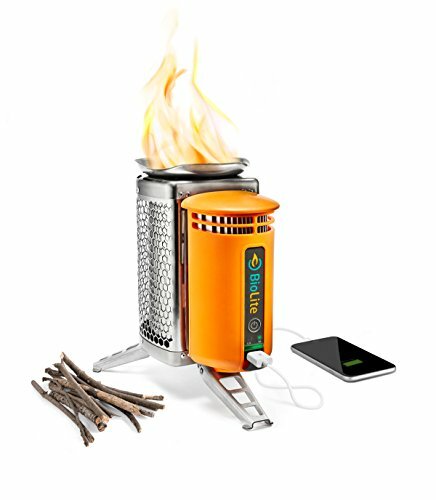 I can't think of a reason to ever bring one of these unless you were going to be away from civilization for months and wouldn't be able to recharge your power bank. Unlike most hiking gear which can have a lot of subjectivity to it (does this pack feel good? Is this sleeping bag warm enhough? ), power banks are pretty straight forward. For the purposes of this breakdown I'm going to ignore the gimmicky chargers like solar/wood burning/nuclear powered, etc. The standard lithium-polymer power banks give you the most bang for the buck while keeping the smallest/lightest size. Power bank capacity is measured in mAh which stands for milliampere hours. This is kind of an obscure unit of measure so the best way to look at capacity is in relation to your phone. Most phones have a battery in the 2,500-3,500 mAh range. If your phone has a capacity of 3,000 mAh and your power bank has a capacity of 9,000 mAh, then you can recharge your phone from 0%-100% three times before depleting the power bank. To figure out how much capacity you need, think about how often you'll be using your phone and when you'll be able to recharge. If you put your phone in airplane mode and just use it for the occasional picture/GPS check, you can probably go 3-4 days on a single charge. If you use your phone more frequently and it's not in airplane mode you might burn through your battery in 1-2 days. Next, figure out how often you'll be able to recharge. If you're doing a through hike on the Appalachian Trail, you'll be going into town every couple days. In this case, you probably only need enough capacity to recharge your phone one time. But if you're like me and you only go hiking a few times per year but you're gone for 4-5 days at a time, you'll probably want a larger capacity. Since you won't be going back to civilization for 5 days, you could potentially burn through 1 or 2 full battery cycles on your phone. Like all things in the backpacking world, one of the biggest factors in choosing a piece of gear comes down to the weight. You don't want to choose a battery pack that's too large for your needs or you'll be carrying around extra weight you won't need. So to begin with, the lightest battery pack is the one you don't need. If you turn your phone off while you're hiking and never use it, you might be able to get away without a battery pack. When I went to Isle Royale in 2018, I barely used my phone while hiking. Over the 5 days I was on the island my phone drained from about 70% to 30%, no big deal. But then I had to drive home which was about 12 hours and I was using GPS navigation for most of the way. If I didn't have a battery pack I would have been in trouble. So even if you don't use your phone much while hiking, it might still make sense to get one for the car when you're going to/from your destination. So back to the weight. The lighter the better. There aren't a lot of differences between power banks so you're looking for well known brands like Anker that have high quality products. Then once you know your capacity you can just shop for the most lightweight options. If you need power – Go with the biggest battery you can find. For instance, take a look at the gigantic Portable Charger 32000mAh RAVPower. Besides offering tons of juice, this behemoth possesses 3 ports, as well as 60% faster recharge time. With a power bank of this capacity, that’s not a feature to be underestimated. Naturally, some compromises have to be made, and if you decide to buy this beast, prepare to carry all 1.13lbs. of it everywhere you go. It might not sound like much, but it can wear on you during those long mountain hikes. If your space is limited–Not everyone is willing to use all of the available space in their backpack just to fit a charger. For anyone who is looking for a reliable power bank that won’t take up too much space, take a look at this Aniope device. Still, don’t think that just because this device is tiny is lacks power. In total, the Aniope comes in at 10,000 mAh, which is more than enough for a few quick top-ups. If you don’t want to carry all that extra weight – It’s simple, select the new and improved Anker Astro E1, with an increased capacity of 6,700mAh. This ultra-light power bank is just 4.4 oz. and it can fit perfectly inside the tiniest of pockets. It’s not the greatest when it comes to capacity, but it has enough juice to satisfy most light users. I wouldn't have said I owned it earlier if it wasn't the best. The Anker PowerCore 10000 is my choice for best power bank. I've used it for the last year and a half and have no complaints. 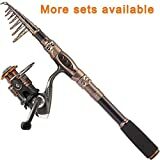 The capacity is great, the size is small and it's lightweight. Anker is one of the most popular power bank manufacturers and for good reason. They stand behind their products with an 18 month warranty and even after repeated cycles of use, the battery life will still be as good as the day you bought it. 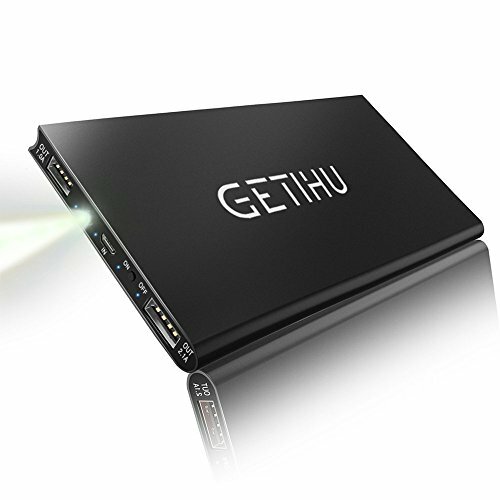 If you're looking for a less expensive option, the Getihu power bank packs a ton of features at a lower price than the Anker 10000. This power bank has a flashlight built into it which is cool but a little gimmicky. They also offer a 3-year warranty but I haven't heard of this company talked about much so I can't tell how much they stand behind their warranty. There are a million other power banks on the market with a huge range of capacities and weights. Xiaomi has several offerings that pack a lot of value and come in at much lower prices than the Anker offerings. Outside of those brands I'd be wary of recommending anything else. They might work OK but you can't tell how reliable they will be. Some manufacturers will lie about the capacity of the power bank or put in low quality batteries that quickly degrade. What starts out as a 10,000 mAh charger could quickly turn into 6,000 mAh if it's not made of high quality batteries.